Yuma Tsuboi, preceded immediately by Saki Shibata, prevailed as Japan enjoyed success in the respective Under 21 Men’s Singles and Under 21 Women’s Singles events at the 2017 ITTF Challenge Thailand Open in Bangkok on Saturday 1st April. At the final hurdle Yuma Tsuboi, the top seed, beat Sun Chia-Hung, the no.2 seed (11-4, 7-11, 11-9, 11-7); Saki Shibata, like Sun Chia-Hung occupying the second seeded position, accounted for colleague, Minami Ando, the no.4 seed (11-6, 7-11, 9-11, 11-2, 11-8). Notably for Saki Shibata it was her second success of the year at an ITTF-Challenge Series tournament; two weeks ago in Belarus she had emerged successful and, as in Bangkok, she overcame a colleague in the final. On that occasion she accounted for Kyoka Kato (11-9, 11-8, 11-6). It was the first time on the international stage that Saki Shibata and Minami Ando had met but being members of the Japanese National Team, they were no strangers. In a different manner, Yuma Tsuboi and Sun Chia-Hung were no strangers; they had drawn swords on two prior occasions to the confrontation in Bangkok. The results suggested that even though the 20 year old from Chinese Taipei was the lower rated player, he started the favourite. They met in both the Men’s Singles and Under 21 Men’s Singles events at the GAC Group 2014 ITTF World Tour Philippines Open; on both occasions Sun Chia-Hung emerged victorious. Just under three years later, in the battle of the left handers, Yuma Tsuboi turned the tables. Also he did the same for his country. In Belarus, 14 days earlier, Yuto Kizukuri had been beaten in the Under 21 Men’s Singles final by Romania’s Cristian Pletea (11-13, 12-10, 11-6, 11-7). 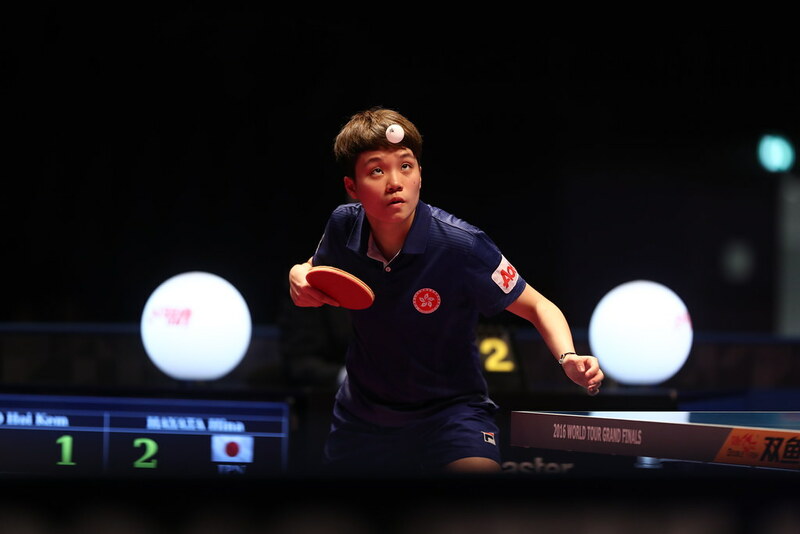 The top step of the podium for Yuma Tsuboi in his first ever Under 21 Men’s Singles final on either the ITTF World Tour or ITTF Challenge Series; for Saki Shibata it was less of a new experience. Additional to her success in March, on the 2016 ITTF World Tour, she had been the runner up in Belarus and the Czech Republic and perhaps this year she breathed a sigh of relief when realising that in 2017 it was not a Korean she faced in the final. Last year in Belarus she had been beaten by Jung Yumi, in the Czech Republic by Yoon Hyobin.